The DC Comics HeroClix: Batman The Animated Series Dice and Token Pack contains 2 custom dice featuring a special icon to celebrate the release of the DC Comics HeroClix: Batman The Animated Series Booster Brick! 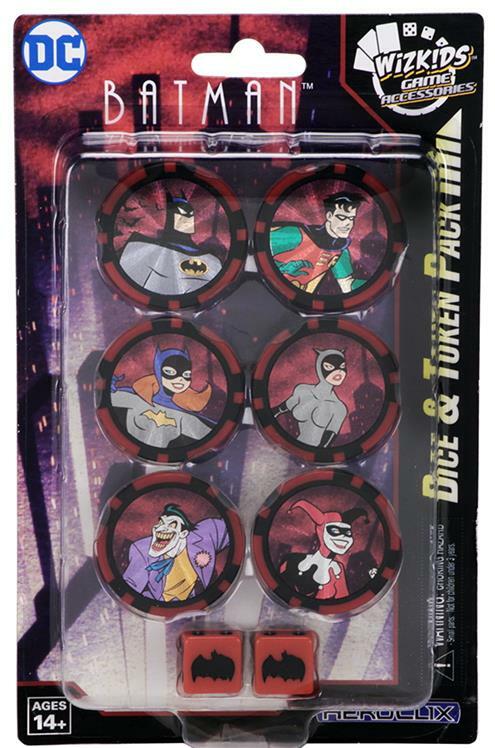 The 6 action tokens are themed around versions of the ever-popular heroes and villains of Gotham from Batman The Animated Series. 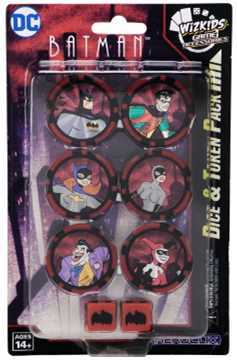 The DC Comics HeroClix: Batman The Animated Series Dice and Token Pack is a great way to enhance your HeroClix experience!.